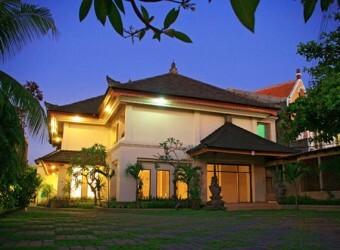 Bali Hotel Sri Phala Resort & Villa is the hideout resort of Sanur. A deluxe room, a bungalow, the villa type room are prepared. You can look around a swimming pool, a lounge from all rooms. It is the good location from 3 minutes by walking, and it is gorgeous stay to go to watch sunrise and sunset in Sanur Beach.